What Happens When You Tie in SongPop? I’ll Tell You! 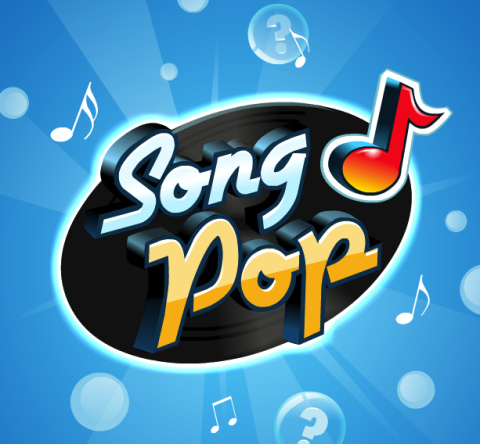 YOU’VE got to download SongPop! It’s the best game EVARRRRRRR!!!!!!!! We’ll have so much fun playing against each other! Two different pals told me exactly this some months ago. So I did – I gave in and downloaded the damn app just to shut them the hell up! And of course just as soon as I did, once I’d downloaded this “amazing” game they were going on and on and on about and was finally able to play against them…? They’d gotten tired of it and now I’m lucky if they log in to play one round every three months. Hmph. I still play. But now I play with complete strangers. With strangers there are no expectations so they can’t let me down. I can count on them to not break my heart. Perfect strangers are people I can trust. And an amazing thing happened the other day – one mystery player and I actually tied! 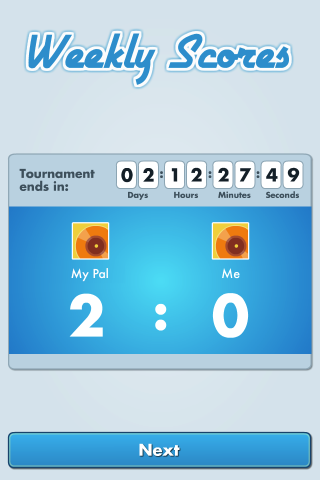 If you play SongPop, you know how unlikely this is, because you’re scored on how quickly you answer correctly. 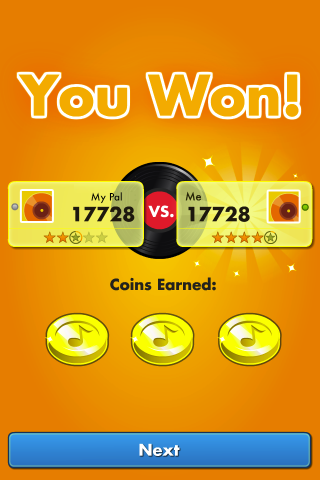 A fraction of a second one way or the other across five songs could result in you and your opponent having scores separated by thousands of points. But apparently the fellow I was playing against (actual user name redacted because I respect this stranger’s privacy, dammit!) and I are pretty evenly matched in TV Themes…and in this particular round, very evenly matched: We identified all five themes correctly, each in the same amount of time, resulting in a tie score! 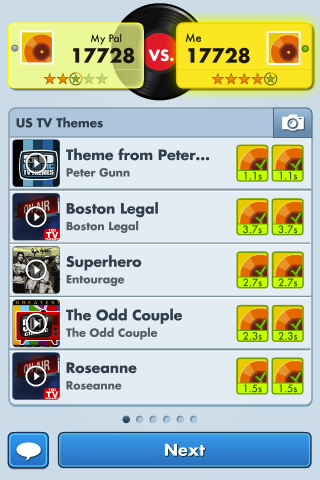 And what happens in an ultra-rare SongPop tie score? I seemingly won and was awarded those three little SongPop coins. I reckon, though, that the other guy “won” and similarly got three coins as well. But here’s the weird part: Going into this round, my opponent had two wins to my one. When this screen (below) popped up, I saw my ‘1’ win for half a second before it rolled back to ‘0’! What gives, SongPop?! You said I won! And even when I lose, you’ve never penalized me by taking away previous wins! And what of my opponent? Did he experience the same thing on his end? Did he roll back to 1 or is he up to 3 now? Who knows? Most strangers are happy to play SongPop with you, sure, but they get annoyed when you try engaging them with the “message” feature. But I respect that – this way they remain strangers – and not “friends” who insist you download a game that they never play with you. Dr. Abramson says it’s better for everyone if I blog about this stuff rather than spend a lot of time on it in Group. Posted by Ted on September 28, 2013, 11:30 AM.